A ‘Blueprint of Your Family Tree’. This is where you receive a map of what your blood relatives/close connections/ business partnerships represent to you spiritually. There is no one else like YOU on the planet and that is why it is such a privilege to be YOU! It’s time to awaken to who you are and what you are here to do! To dig deep into your heart and open up to the feeling of passion, potential and empowerment! Perhaps you’ve forgotten what that feels like, perhaps it has always lain dormant or perhaps it has started whispering to you! Now it can no longer be ignored! The place to start is in your home – it is here that you can face, break through, surrender and evolve all limiting birth family beliefs, patterns and programs! You so have this and we so have your back! The powerful, Emotionally Happy Home® healing systems allow us to tap into your unconscious and subconscious and untangle the deepest patterns and programs, that are creating emotional stress in yourself and home. This is what is at the bottom of your illnesses and survival struggles (e.g. lack of money, stress, health issues, relationship problems). Once you are aware of the old, conditioned, outdated beliefs that have been holding you back, they can be transformed into new, empowering and uplifting beliefs. Love, understanding, compassion and emotional strength become your dominant vibration in the home! So, let’s do this! Let’s clear your stuff! Let’s get you living the life you imagined! Communicate without criticism and in a way, that promotes connection, authenticity and personal growth. Listen without judgment, knowing that everyone has the ability to connect to their heart and higher self to find their own answers. Evolve the parent/child relationship, where the focus is supporting your child to connect to their own spirit and creative gifts. Feel deeply connected and supported in relationships/partnership, through seeing that all reactions are a call for help and not a personal attack. Open up to your purpose and creativity where you have the ‘fire in the belly’ feeling! 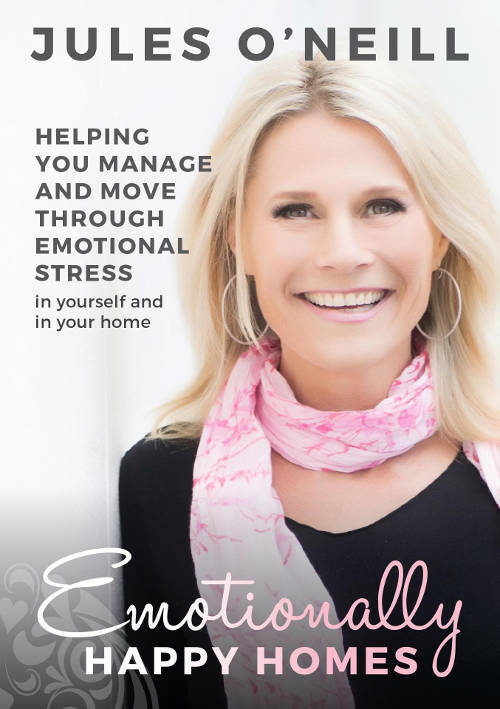 Transform all emotional home stress in the day to day running’s of a home, into clarity and direction. Our intention is that you experience profound and undeniable shifts in every appointment and for the rest of your life! LONG TERM RESULTS of an Emotionally HAPPY HOMES® coaching program! A heart based home, which translates into a heart centred life! A desire to joyfully contribute to excitements and curiosities that align with your heart! Freedom and authenticity in your communication with all your connections. Abundance and prosperity opens up as a result of you understanding the language of your emotions and the path of your heart! Actioning your creative truth; consequently, feeling connected to your heart and higher self. An abundance of health, energy and vitality in your day to day life! The emotional strength to always follow your heart’s direction and manage emotional stress within yourself and with others. Awesome results from any of the packages! Each package will entitle you to a 55-minute coaching session. We recommend the sessions be used weekly. Coaching sessions can be shared with members in the household, birth family or close connections. A little bit about our coach, Kirsten! Your Emotionally HAPPY HOMES® coach, Kirsten is professionally qualified in all of Jules O’Neill’s self -awareness healing systems. Not only has she gone through the programs herself, she is living and breathing the concepts in all areas of her life – especially her home and family. She is phenomenal and is able to contribute in transforming your life beyond what you know!